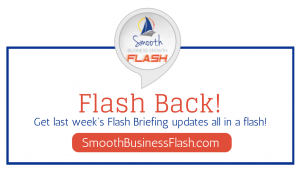 Did you miss my Flash Briefings on Goals and Goal Setting for Smooth Business Growth Flash Update? Don’t worry they’re right here in this flash back to the last week! You can’t keep your goals to yourself, and I’ll share why. Write down your goals and share it with someone – I believe in the motto that your thoughts become your words, become your actions, become your habits, become your destiny. First you must think it, speak it to someone, start your actions (which become habits when repeated) then voila – your goal is achieved. Don’t just ‘think’ up a goal but actually write it down and tell someone. 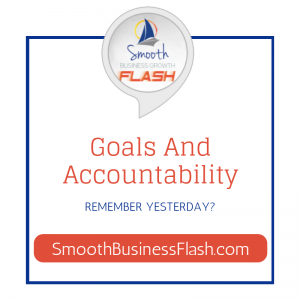 You need Accountability to help you meet your goals. Build in accountability – taking the above tip a step further, if you tell someone it helps make you accountable. This is one of the reasons I’m a firm believer in having a business coach or joining a mastermind. You have to answer to them and say if you DID the actions you said you would do and they help you push and motivate you to keep going so that you will increase your chance of success. 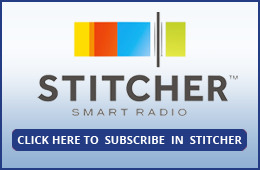 How is a target different than a goal – I’ll tell you here. It’s great to set a goal like “I want to increase my revenue by 20%”, but you also need to set a target. 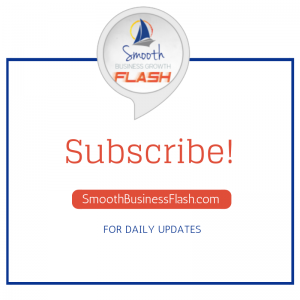 Example – I want to increase my revenue by 20% by June 1st. You need to set a target date – a time frame to achieve it. If you don’t, the ‘goal’ can go on forever and before you know it you are old and grey sitting in a rocking chair on the porch! . Plan, plan, plan – I bet you’ve heard the phrase – Failing to plan is planning to fail. Plan, plan, plan – I bet you’ve heard the phrase – Failing to plan is planning to fail. You need to have a clear roadmap on how to achieve said goal by the given target. 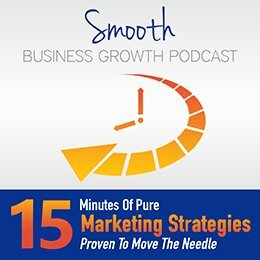 HOW are you going to increase your revenue by 20% by June 1st? 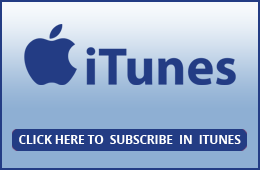 What do you need to do DIFFERENTLY each week to make a difference in your revenue, to make more sales, to increase the sales of your current clients, to lessen your expenses? You need to know EXACTLY what you need to do on a regular basis to make your goal a success. 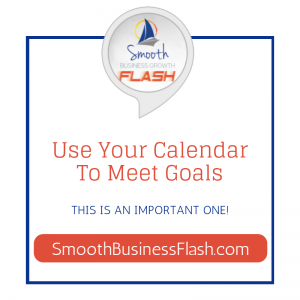 Plus it’ll help you feel less overwhelmed. .
How does your calendar become so important to meeting goals? Tags: goal setting, goals, planning, and set goals.